Canoe Cornwall | Keep your paddle wet and your tinder dry. 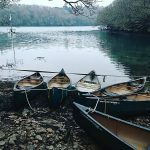 At the heart of Canoe Cornwall are our back to nature canoe trips and expeditions on the River Fal. Dig a little deeper and you’ll see that we have a range of experiences and venues to suit all. 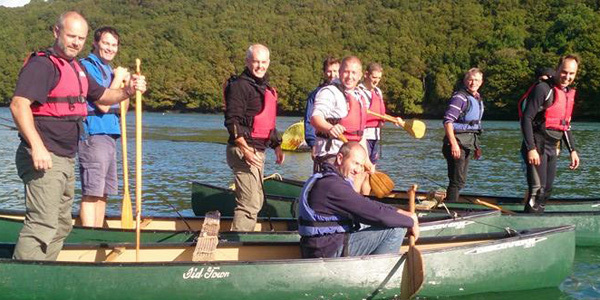 With our Trelissick Gardens archery sessions, axe-throwing, paintball, canoe bushcraft weekends, corporate team building programmes, educational summer camps and a host of other activities. Canoe Cornwall becomes a lifestyle that everyone should enjoy. Book one of our half-day or full-day canadian canoe trips on the River Fal. Paddle serenely around the creeks of the River Fal estuary. It’s a great way to experience the countryside. Whether you choose half days or full days they both provide a wonderful time on the river. If you choose the full-days experience it will allow us to stop for lunch on a secluded estuary beach before returning to Trelissick Gardens. 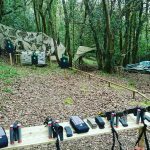 Archery , Axe-throwing or our latest adventure Paintballing provide an fantastic way to while away an afternoon. So if you are planning to visit the beautiful Trelissick Gardens this year then wander over and book yourself a few quivers on our archery range. 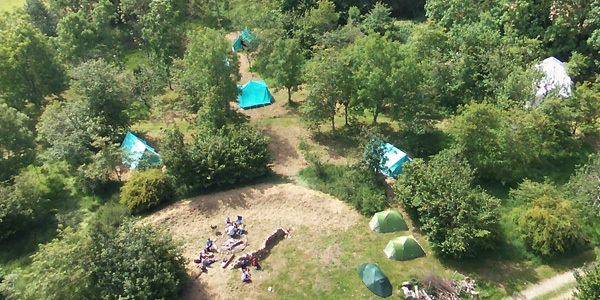 Bring your school or youth group for a fabulous Pill Farm summer camp woodland adventure under canvas. 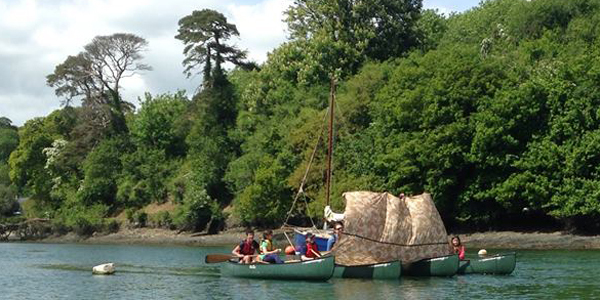 Our Pill Farm venue at Trelissick Gardens provides a summer camp that all children should experience. Our tented village is set amongst the orchards of Pill Farm and overlooks the Fal estuary. 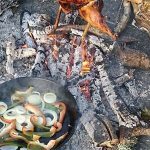 Students are invited to undertake farming duties and get back to nature with bushcraft skills, canoeing and archery. From time to time everyone needs to celebrate something. Our bushcraft, canoe, archery axe-throwing or paintball celebrations will bring everyone together for that special day. We can even combine activities and offer half-day, full-day or weekend events to suit your celebration. Corporate training experiences are no different, we have a history of bringing people together in a place where everyone feels at home, away from the office. It’s not always that you want to carry a kayak around with you whilst on holiday. Take advantage of our kayak hire service. It’s for anyone requiring access to kayaks and equipment, all we ask is that you have competancy and some knowledge of the area that you wish to navigate. 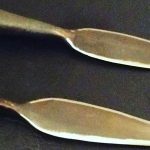 Just contact us with your requirements. Payment for hire and deposit can be made on pickup. Sometimes it’s easier to just tell us what you are looking for and we will do our best to make it happen. If it’s in Cornwall, outdoors, in the woods or involves canoes or kayaks then we will be able to write the script. Browse further or just contact us.